Fine Wine Delivery Co. are bringing you the freshest and most innovative way to drink your favourite craft breweries beer. Crowlers® are 946ml aluminium cans that are purged with CO2 for freshness, filled and sealed on the spot by our beer-ista to take home or deliver straight to your door. They are clean, easily transportable, don’t let in any damaging UV light and stay fresh and carbonated for at least two weeks after filling, so you can be sure when you crack them open they’ll be tasting like they’ve just been poured from our taps. 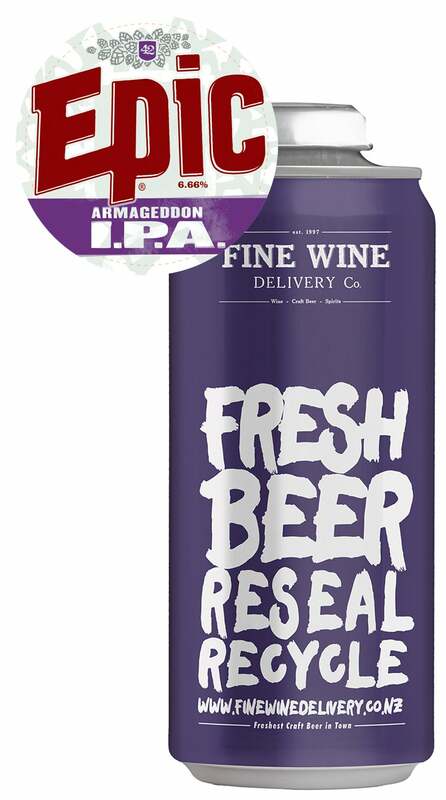 We’re the first retailer in NZ to stock and ship the Crowlers® nationwide, plus the first in Australasia to offer the resealable Crowler® lid. Simply untwist and pour, twist the lid back up to consume later. This unprecedented lid also contains an oxygen scavenger to prevent the dreadful oxidation of your beer after opening. Crowlers cost $2.99 each & will be added to your online order automatically when you select your fresh tap beer. "American-style India Pale Ale. 6.66% (Number of the yeast). Aggressive piney spice hop aroma and flavour. A punchy bitterness and long hop resin finish. ""The Answer to Everything"" Champion IPA." Super Afrodisiac is brewed annually by the old romantics at Funk Estate one a year as a celebration of love and released in time for St. Valentine's Day. 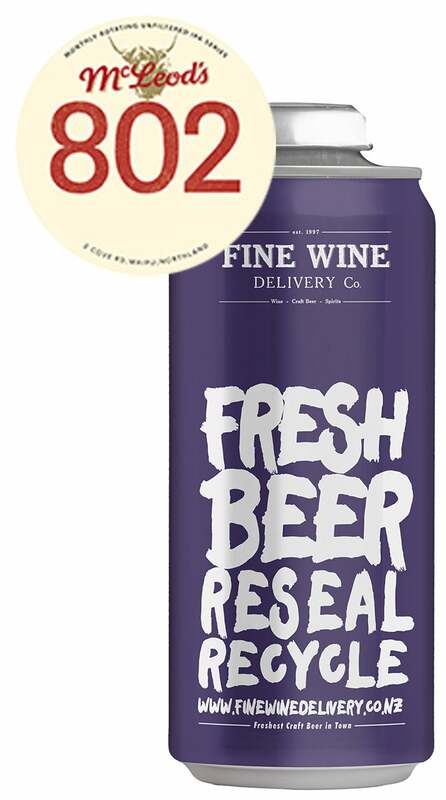 They are basically the Barry White of NZ brewing and take no responsibility for any passionate trysts that may arise following consumption of this double stout brewed with chocolate, vanilla, honey, figs and maca root. Be sure to drink this at cellar temperature and you'll be rewarded with an array of complex flavours in this rich, smooth, full bodied beer. There is milk chocolate, caramel sweetness and also roast-y bitterness. The only thing you may not notice is the 8% abv. A brand-new release from Funk Estate's Mt Maunganui brewery is Soul Train their very summery Peach Tea IPA. Whilst this may sound like a step too far, it isn't. The Peach Tea flavours really compliment the juicy fruity and moderately bitter 6.8% IPA. A great seasonal and one that no doubt won't be around for long so jump on the soul train and cho cho choose this beer. Fresh Hop beers are very seasonal, literally, the freshly picked hops are added to the whirlpool often within 24 hours of harvest. The increased plant matter and alpha acids in the finished beer also mean that fresh hop beers have a shorter shelf life, best consumed ideally within 3 months. For these reasons fresh hop beers are made in smaller volumes. 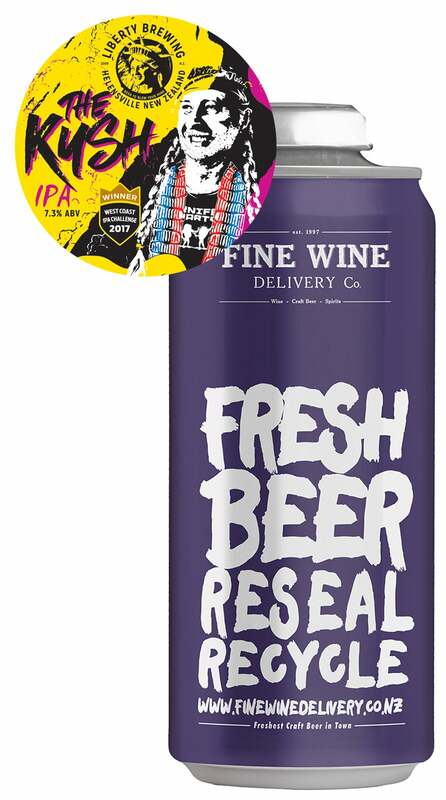 So, a limited release beer needs an extra special label and Sawmill have commissioned local artist Iain Cheesman to design the "Hey A Fresh Hopped White IPA eh" label. This beer is highly aromatic and crammed with fresh Nelson Sauvin and a fruity Belgian wheat base. This beer is perfect for wheat beer and IPA lovers a like. OUr colaborative beer with Fortune Favours. 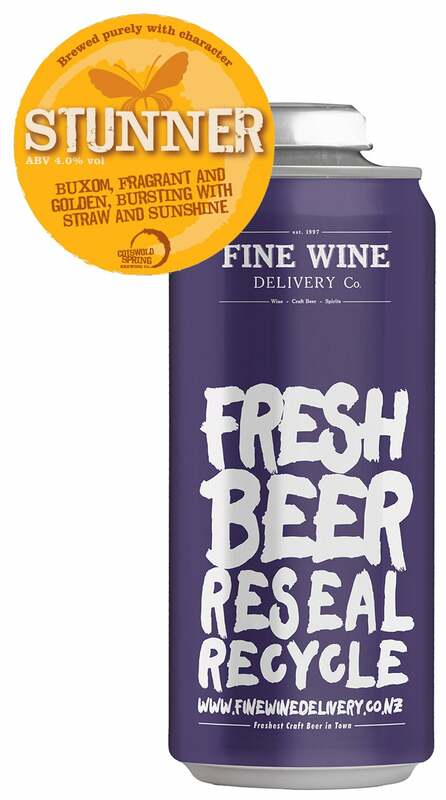 Beer Ambassador, Georgia Davies, and Fine Wine Delivery Co. GM Richard Poole created this recipe on our grainfather before upscaling the brew with the team at Fortune Favours. WIth over 200 zested and juiced grapefruit in the beer, it has a grapefruit zesty bitterness backed with a ful bodied malt profile. West Auckland brewery Liberty are known for their big punchy IPA's. The Kush was originally brewed as a one-off for the 2017 West Coast IPA Challenge, which it ended up winning. Demand has been so great that Head Brewer Joe Wood is brewing this year-round. At 7.3% and loaded with hops it's got all the power and flavour you'd expect from a champion IPA! She's a gusty old place, Wellington. But you know what they say, if life blasts you with gale force wind, build a turbine. 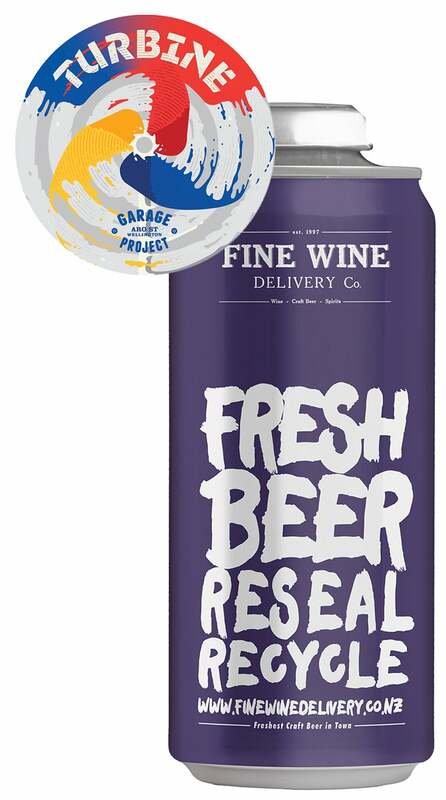 So Garage Project did just that, with Turbine, a wind powered pale ale. Brewed with a bright golden, juicy malt base, balanced with a thirst-quenching bitterness and bursting with citrus and tropical hop character, it's a beer that's engineered to be enjoyed. Recently in collaboration with our friends at Hallertau we went out to Riverhead and created a cream ale. Adam, Brewer, used to work at Pelican who makes one of the highest rated cream ales in the world, so he sure knows a thing or too and took us through the process. Made with flaked malts (no, no lactose is in this beer) and Mt Hood hop from America, this is a refreshing and light with a full mouthfeel and lingering herbal hop character fromt he Mt Hood hops. Perfect for when you feel like something a little more flavourful yet not too powerful! The lateste edtition in the McLeods 802 range is #17, hopped with Amarillo and Citra. Now onto it's 17th rendition, the 802 series celebrates East Coast Style IPAs (hazy's) and is the area code for Vermont, brewer Jason's hometown and the birthplace of East Coast IPAs. Think big, full, juicy hop flavour without the resinous bitterness you'd expect from piling in that many hops. 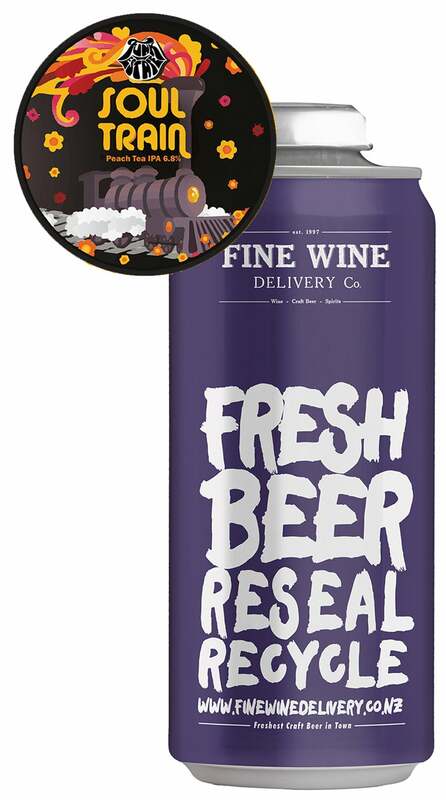 Extremely limited edition, we only ever get one keg of each rendition so get in while you can! 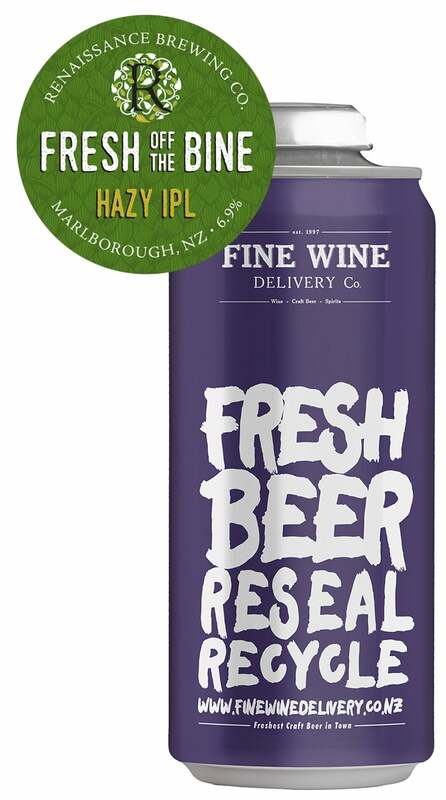 A hazy, unfiltered take on an Imperial Pale Lager, brewed with an extreme amount of fresh wet Motueka hops. The hops were hand delivered on the day of picking from Kentish Man Hops (NZ's smallest hop farm) directly to Blenheim and added at the peak of freshness to their brew already in progress. The result is a luscious hop-fest of a lager full of tropical fruit, lime, and apricot hop flavours. The beer pours light amber with a faint haze. There is a hint of malt sweetness with lots of up front fruity hop notes ending with a clean lingering bitterness on the finish. We've been told this was the quickest fastest selling keg at fresh hop Auckland, so we'd advise getting in quick!